NetEnt, the leading provider of digital gaming solutions, has demonstrated the quality and scale of its multi-faceted offering at ICE 2018. The diverse showcase includes major advances in virtual reality (VR) and live casino, its newest blockbuster branded games, and its pioneering media buying programme. VR is at the core of NetEnt’s ICE presentation, where it has revealed the first fully playable, operator-ready version of Gonzo’s Quest VR. Never before has a web VR slot game been released within the igaming industry. Using state-of-the-art VR technology, the game is available through a web browser, without any specific integration needed for operators, or downloads of dedicated apps by players. Web VR makes the new genre of games easily accessible to any player. 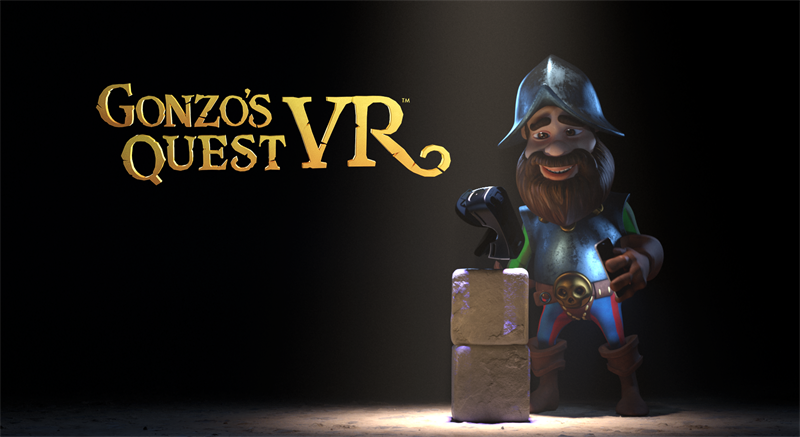 Gonzo’s Quest VR is a true omni-channel creation: players simply log into the casino on a desktop or mobile device, press the VR tab, then plug in their VR headset to enter the immersive world of Gonzo. The HTML5 Gonzo VR game has been uniquely developed using real-time 3D and it is due to go live in summer 2018. Per Eriksson, CEO of NetEnt, said: “As a first-mover in virtual reality (VR), NetEnt has been at the forefront of igaming’s application of the technology since revealing its plans for VR in 2016. The innovative supplier is showcasing its full, award-winning games portfolio, which includes a triple addition of exciting licensed games in 2018.Visitors can find out more on its recently announced brand Jumanji™ video slot, as well as the Narcos™ and Vikings™ titles it presented on day one, during its traditional unveiling ceremony. Also added to the games portfolio is the customized multi-table live casino concept. The technology, initially available in collaboration with Mr Green, was officially on day one at ICE. The development means live gaming has, for the first time, comprehensively leveraged the digital technology to enhance the player experience. Additionally, on Stand N3-242, visitors can find out more about the unique collaboration between NetEnt and Ve Global (Ve) that has created the only media buying programme dedicated to the igaming industry. The services enable operators to increase the accuracy and effectiveness of their marketing activities, thanks to a programmatic solution that combines NetEnt’s global data with Ve’s Demand Side Platform (DSP). The solution improves online customer journeys through greater personalisation and targeting, boosts retention rates and brand awareness while reducing acquisition costs. NetEnt is also using ICE as a platform to underline its firm commitment to responsible gaming, having partnered with Gambling Therapy to launch the charity’s new website at 10:15 on day two of ICE (February 7) at the Customer Protection Stage. The new website is funded by NetEnt and includes an improved tool which provides practical advice and emotional support to people affected by problem gambling. “With such a wide-ranging exhibition of superior products and services we are showing NetEnt’s versatility and value across multiple business areas. “Furthermore, we are pleased to be able to use this high-profile occasion to underline the importance of responsible gaming to NetEnt and the wider industry. We are firmly committed to ensuring the highest levels of fairness, player protection, and security,” said Eriksson. Visit NetEnt at Stand N3-242 at ICE Totally Gaming, held at ExCeL London, from 6-8 February 2018.